The summer continues in Qatar with the biggest beach festival the country has ever seen, at Splash Water Park in Katara. When it comes to vacationing in Qatar, everyone is pumped to have a fun packed time off work and school, but high temperatures might discourage some to go out during the day. Along one of the most popular beaches in Doha, Katara set up the 7,000 square meter Splash Water Park, to bring fun-seekers Qatar’s biggest beach festival. Splash Water Park was inaugurated just last week, and has already sparked life back into summer, with thousands of people flocking down for a day filled with water, sports and entertainment. Over the next two months, people living in Qatar can enjoy an array of some 60 different rides and attractions, including a 150 meter zip-line and a 50 meter city slide, the first of their kind in the country. 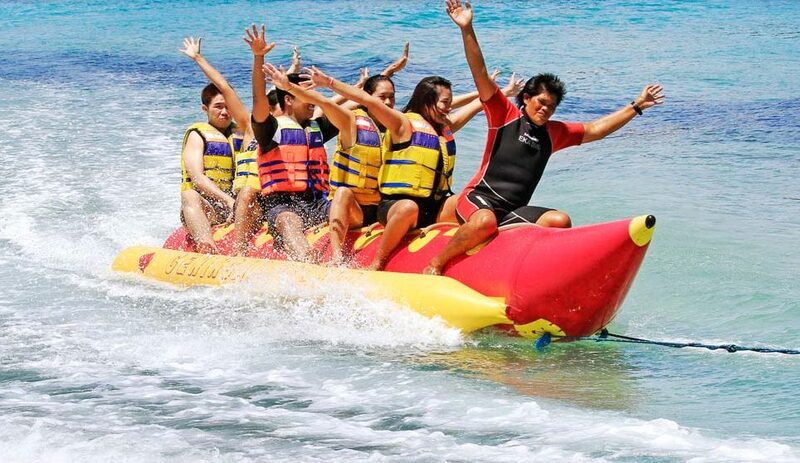 Some of the attractions include a floating city, climbing walls, banana boats, trampolines, slides and many other water and beach based activities, as well as selection of food vendors, competitions and other fun things the whole family can enjoy. The park also includes a stage for live entertainments, music performances, and a thrilling fire show after sundown. While summers are generally over or nearing their end around the world, people living in Qatar still have some hot months ahead. Even though it is time to for vacationers to head back to work and children to resume school, summer is still young and there are many activities people can enjoy around the country. The water park will be open daily from 3 in the afternoon until midnight, and will operate until November 8.